Andrew Beals joined legendary jazz organist, "Brother" Jack McDuff and the "Heatin' System" in 1986. Beals became the latest in a long line of Jazz Saxophone greats, including Sonny Stitt, Gene Ammons, Red Holloway, Joe Henderson, Joe Lovano, Harold Vick, and Rahsaan Roland Kirk to work with Jack McDuff's band. It was marked by a busy performance schedule, which included lengthy tours of North America and Europe. Andrew Beals has appeared as a leader of his own band and as a featured soloist with Jack McDuff, and others, at many renowned Jazz clubs and festivals. Beals was a semifinalist at the 1993 Thelonious Monk Jazz Saxophone Competition; and in 1998 he was awarded the prestigious NYU Jazz Orchestra Scholarship for graduate studies in jazz performance and composition. 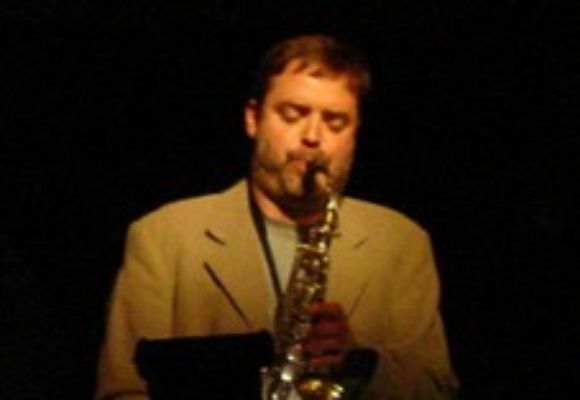 Andrew is currently an adjunct professor of Jazz Saxophone and Jazz Improvisation at Western Connecticut State University(W.C.S.U) and a woodwind instructor at the Greenwich Music School. He received his Bachelor of Arts Music degree at Livingston College and Rutgers University, and has a Master of Arts Music Degree from New York University. His teachers were Paul Jeffery, John Stubbelfield, Frank Foster, George Garzone (saxophone), and Jim McNeely (composition).